Highlands and Islands Enterprise (HIE) has commissioned Edinburgh based planning consultants GVA Grimley to produce a physical masterplan for John O'Groats. The masterplan will provide a sustainable long term model for creating an iconic visitor attraction which will include retail outlets, food and drink offerings and various levels of tourist accommodation. The masterplan is expected to be complete by August of this year. It follows last year's local public consultation on the project. Carol Gunn, head of transformational projects at HIE in Thurso said "John O' Groats is one of the most widely recognised UK tourist brands and the development of this masterplan will help unlock its potential to have an increased impact on the tourism sector at both a Highland and Scottish level." All the stakeholders in John O'Groats and the surrounding area, including local businesses and Highland Council, will be consulted and asked to take part in the masterplanning process. Heritage Great Britain, owner of the currently closed John O'Groats House Hotel, is keen to get started on a complete redevelopment of their site. 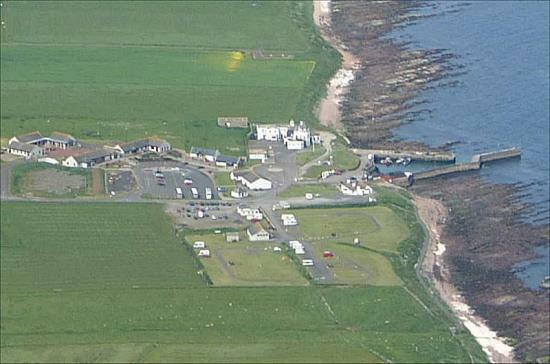 Alan Leech, Chief Executive Officer at Heritage Great Britain, said "We welcome and fully support the initiative being led by HIE to re-establish John O'Groats as an iconic destination and are extremely happy with the appointment of GVA Grimley to undertake the development of this vital masterplan. All at Heritage Great Britain are looking forward to working with other local business', stakeholders and the wider community to develop a sustainable long term blue-print." Included in the GVA Grimley John O'Groats Planning Team are Tom Buncle, a former Chief Executive of the Scottish Tourist Board (now VisitScotland) and Andrew Lyle MD of RD Energy Solutions, a leader in the field of renewable energy technologies. Richard Slippe, Director at planning and development consultants GVA Grimley said: "We have worked on many consultation-led schemes in recent years. We are pleased to have this excellent opportunity to assess a truly unique location with some fine opportunities and many stakeholder interests, and to provide our design, planning and development recommendations. We have a team which includes leading experts on urbanism, tourism and designing for energy and we look forward to presenting our ideas to the client later this summer". GVA Grimley has previously worked on Western Harbour and Granton Harbour in Leith (Edinburgh), The Caltongate Masterplan (Edinburgh), Guardbridge Papermill Regeneration (St Andrews) and the Asda Stores proposal for Thurso, Caithness.